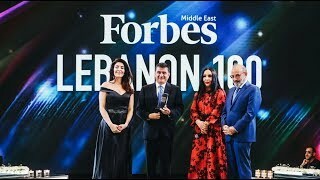 IPT's Success Story was recognized by Forbes Middle East magazine, which organized for the first time in Lebanon the Forbes Middle East "Lebanon 100" gala event celebrated to recognise and applaud the achievements of Lebanon's top buisness leaders and its most influential people that are supporting the growth of the country's economy. 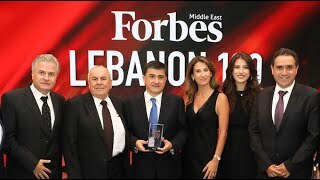 Dr. Toni Issa, CEO and Vice Chairman of IPT, was selected among Lebanon's Top 35 inspiring Lebanese business leaders that have shaped the country's business landscape, during this gala event that took place in the vibrant business hub of Beirut at Le Royal hotel in Dbayeh-Lebanon. Dr. Issa received an award in recognition of his achievements and the successes of IPT in this regard. 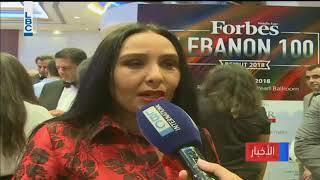 In an interview that was published in Forbes magazine in its special issue about Lebanon, entitled "Resilience through Innovation", Dr. Issa discussed how Lebanon’s petroleum sector has been affected by regional conflicts, and how IPT survived despite all these conditions, saying that "Lebanon relies on the import of petroleum products, which makes it directly influenced by any regional instability. However, the petroleum sector in Lebanon is semi-regulated by the Lebanese Ministry of Energy and Water, which partially helps in mitigating the risks that may arise mainly from the fluctuation of prices". Issa added "IPT adopts a proactive strategy that optimizes the import process while relying on its joint strategic partnership with major international oil traders. We developed and implemented a growth strategy that consisted of transforming our gas stations into a modern and welcoming place offering diversified products and services and services. We also embedded sustainability and CSR at the heart of our operations. The overall approach contributed to a remarkable increase in IPT's market share, with more than 200 gas stations currently spread across Lebanon". He then explained about the major role that IPT Energy Center (IPTEC) plays in promoting energy sustainability, and concluded about IPT's future plans that are based on technology and innovation. He concluded by saying: "Thank you for the recognition. Throughout my career in law and now in business, I learned that success is not linked to the career we choose. It is rather in what we believe we can achieve as individuals regardless of where we are and in which field we work. Believe in yourselves, in your capabilities and work hard. This is all it takes to succeed". Download PDF Magazine to read full interview in pages 57 and 80. 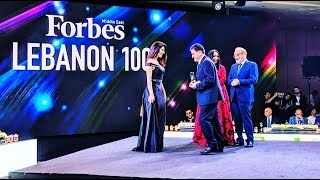 "Forbes- Lebanon 100" ceremony will soon be aired on MTV.